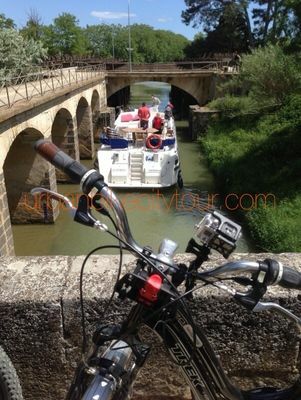 An alternative way to visit Béziers city – on an electrically-assisted bicycle without overexerting yourself, on cycle paths and roads, happening on hidden treasures – this is what this sightseeing tour offers, lasting around three hours. It will take you into the heart of this city full of historical, cultural and natural surprises, pedalling at your own pace. Be pleasantly surprised by this guided tour with commentary, seeing sights that simply wouldn't be possible in a bus or car. A 100% authentic bike tour! There is no review about Urbanbike City Tour Beziers, be the first to leave one !